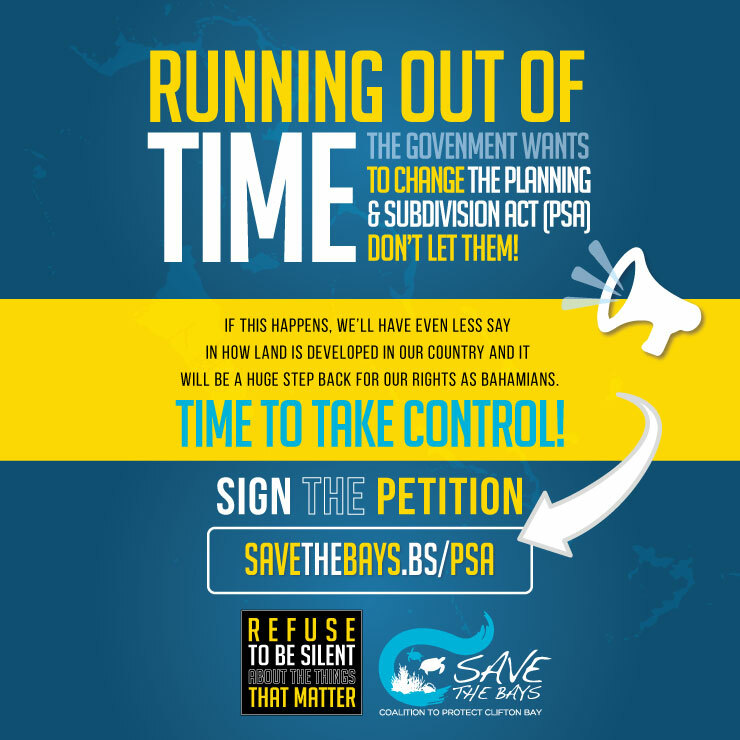 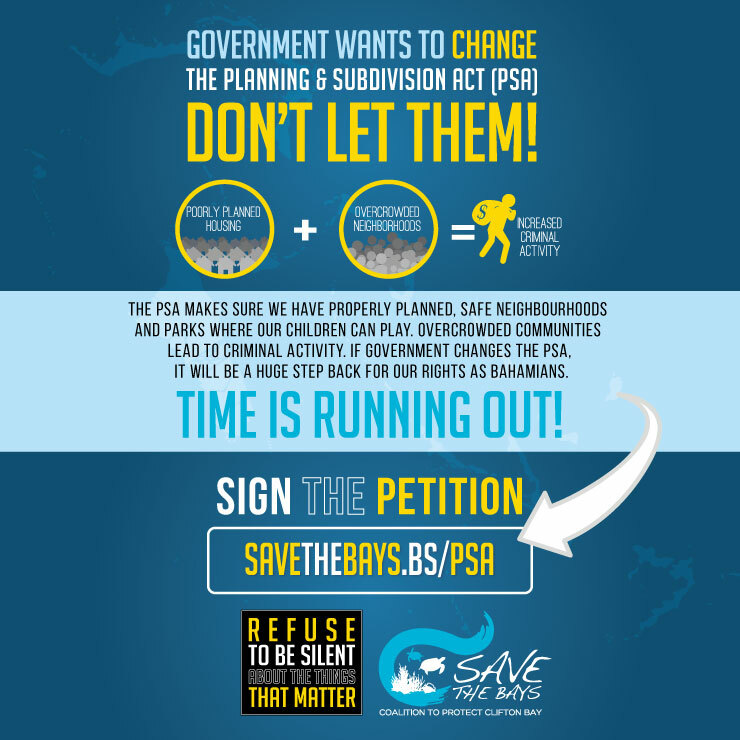 Save The Bays, a coalition of environmental organisations, sought to alert the public about the government's plans to change the existing Planning & Subdivision Act (PSA). 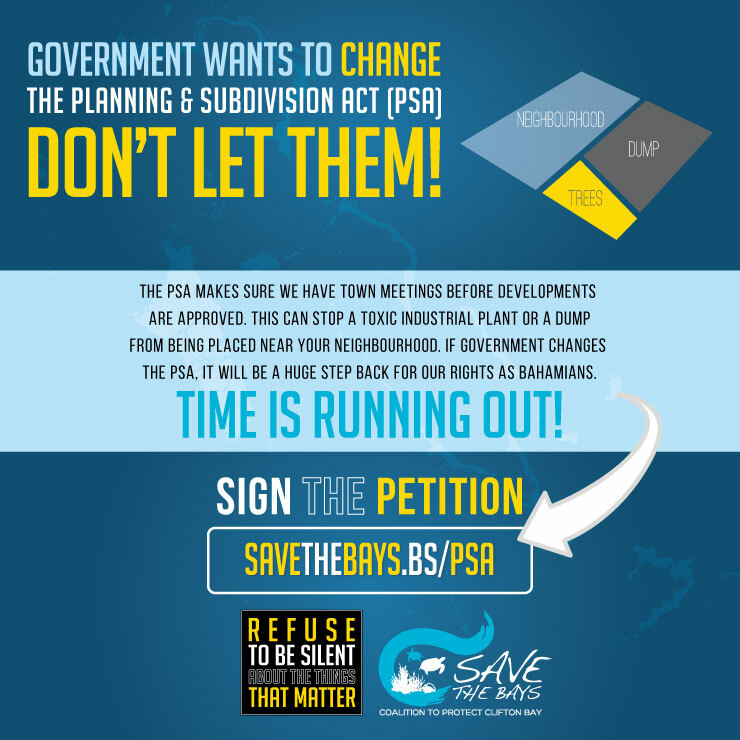 The PSA gives the public a say in who the government can sell land to and prevents new subdivisions from being built in areas that flood or don’t have proper utilities. 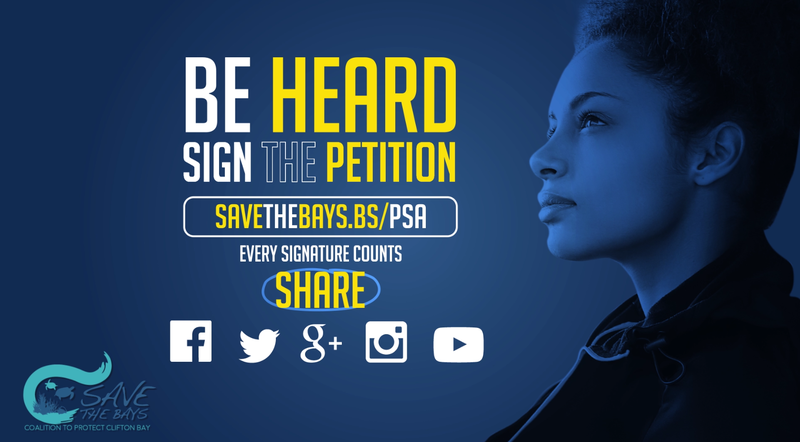 Print, Radio and TV commercials were crafted to draw attention to this pivotal matter and compel the public to sign an online petition, to prevent the government from changing the PSA.